Selling products on a WordPress based site can be challenging, which is why it’s essential that you choose the right WordPress ecommerce plugin. Originally launched in 2003, WordPress has grown to the point that nearly 1/3rd (30%) of all sites on the internet are running on WordPress. With 50,000+ plugins in the WordPress repository, you can see why finding the right plugin can be a mammoth chore! Besides finding the right functionality, it’s also important to avoid the many malware or phishing sites out there that offer WordPress plugins as a way of compromising your computer. Over half of all security vulnerabilities within WordPress come from plugins. The most popular ecommerce plugin for WordPress, woocommerce, has been downloaded more than 30,000,000 times and accounts for 41% of ALL online stores. Why use WordPress for ecommerce? It’s SEO friendly – you want your shop to achieve good search engine rankings and WordPress makes your SEO job easier. It’s Flexible – You can built your ecommerce shop in the way you want without any limitations or boundaries imposed by pre-build shopping platforms. It’s Free – Besides the initial cost of developing your website and a very small monthly fee, you don’t have to pay for transaction fees or shopping fees. Reseller cloud hosting with fully managed support from KnownHost, 24/7/365. There are many ecommerce plugins you can use with WordPress but those listed below are suitable for building professional and secure eshops. They are reliable, they have good support, thousands of downloads and a lot of happy customers. Boasting over 1 million sellers in 175 countries, ECWID is powerful enough for advanced users, yet simple enough for small business owners who would rather spend their time managing their business rather than trying to become a programmer or web developer. Sporting a free forever plan, for those who have 10 or fewer products, most people who sell online will need to upgrade to an inexpensive paid plan. ECWID comes from the team who created X-Cart, the first PHP ecommerce platform back in 2000. Seeing the growth of CMS platforms like WordPress, Joomla and Drupal, they developed ECWID – a plugin based ecommerce system with the horsepower of X-Cart, yet the simplicity and ease of use from WordPress. Not only can you build your store on WordPress using ECWID… You can also create a Facebook store as well. Given the growth in mCommerce, this is a dynamite 1-2 punch. Woocommerce by woothemes is one of the newest ecommerce plugins but one that has a lot of functionality, features and a growing community of both users and developers. Woocommerce gives you the basic functionality for free but if you want more features you can purchase add-ons (or extensions) that integrate with the system seamlessly. Theme support – There are many dedicated woocommerce themes but it can also be used with any WordPress theme. Developer support – It’s easy to find developers to extend its functionality. It also comes with an API which makes it easier to build extensions or custom programs that integrate with the core system. Updates – There are new plugin updates every couple of months that introduce new features or solve existing problems. There are also newly released extensions that extend its functionality. WP e-commerce by getshopped is another popular choice for adding ecommerce functionality to WordPress. WP ecommerce has been around since 2006 and has close to 3 million downloads. It works on the same concept as woocommerce i.e. the basic version is free and you can extend the functionality by purchasing add-ons. Compared to woocommerce , wp-ecommerce does not have so many add-ons though and this is something that is considered a big plus for woocommerce. MarketPress by wpmudev is another option for those that don’t want to go with woocommerce or wp-ecommerce. It has far less installations (close to 150,000) and it also has a different pricing model. The basic product is free and then you have the option to go Pro by paying $40 per year for subscription and get additional functionality like Google analytics integration, more payment options etc. If you want to get more modules or add-ons then you need to subscribe to one of their plans ($40 per month or $235 per year) and get accesses to all available plugins (current and new plugins). It’s always difficult to say which plugin is appropriate since it all depends on what you want to achieve, your budget and requirements. Nevertheless, it seems that ECWID is the best simple ecommerce plugin for WordPress. For more advanced users, those with the time and inclination to deal with the overhead, or who have developers available to assist them, then WooCommerce, the most popular WordPress ecommerce plugin, seems to be the frontrunner – still. Choosing a popular, reputable plugin from a proven vendor is the best advice we can give. When it comes to buying online – think twice, click once! 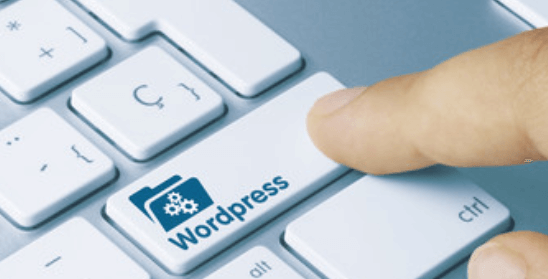 What You Can Do to Make WordPress Work for You. WordPress is really SEO friendly which is very important to rank in Google search engine.All these here described are best and seo friendly ecommerce plugins.I personally know they are too much good and useable to the market people for their ecommerce wordpress theme. Thanks for sharing great info.